The 35-year-old Werribee man will be retried on charges that he accepted funds from a terrorist organisation and possessed a falsified Australian passport. His convictions on both counts were quashed in 2006. 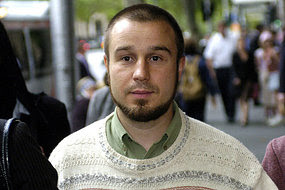 But the Crown argued he made admissions during an interview with the ABC's Four Corners program and should be retried. The defence said the Crown knew about the interview during the first trial, and thus it could not be deemed fresh evidence. But the Court of Appeal has rejected the defence submission. His legal team is considering a High Court appeal. Mr Thomas was not in the court for the finding, but his mother and brother were.